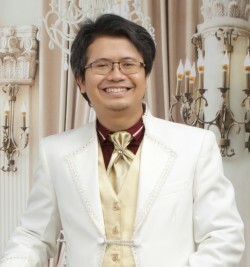 My name is Helmy Ismail Sani. 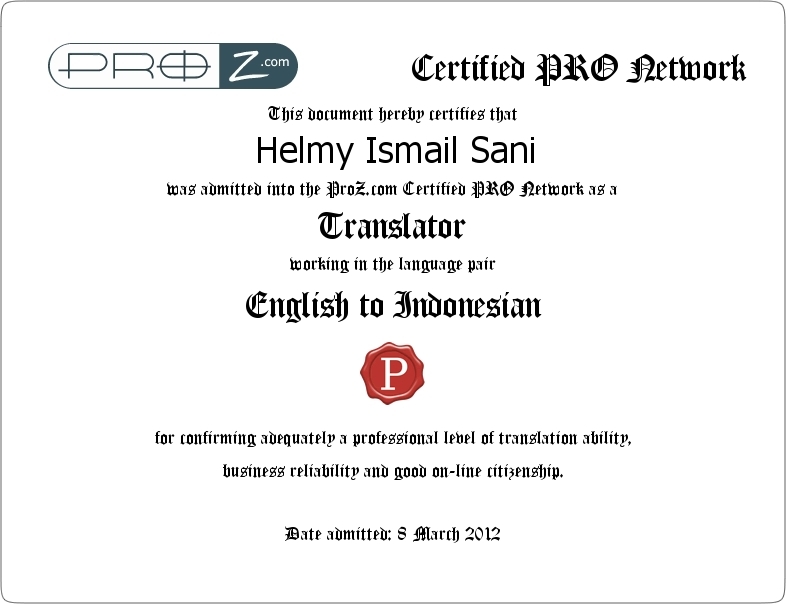 I am an English-Indonesian translator with a Proz Certified Pro Certificate and adequate experience specializing in (but not limited to) marketing, business and finance. I have two bachelor degrees majoring in English Letters (focusing on linguistics) and Islamic business law. Besides, I also have a master degree majoring in Islamic Finance and Banking. Since 2005, I had begun to cope with translation by translating any kinds of document while completing my bachelor degree. Hence, I have been accostumed to and familiar with many fields of expertise. In 2008, I started to translate English books to Indonesian for local publishers. So far, I have translated several English books most of which have been published by local publishers. In 2010, I started to work with international clients and I have so far worked with several translation agencies from Asia, Europe, Afrika and America. Punctuality and quality are my priority. In 2010, I decided to go international and be a full-time translator. 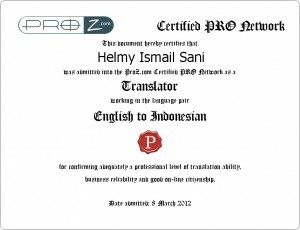 I then joined two big translation portals: ProZ and Translatorscafe. Since then, I have worked with several agencies from Asia, Europe and America. Now, I have completed many translation projects for them. Should you need to contact me, feel free to reach me through the “contact me” page, email or skype. I am available from monday to saturday at 08.00 am – 11.00 pm (West Indonesia Time). So, if you send me a message beyond that working hour, perhaps I will reply you directly or in the following day. It is an honour for me to cooperate with you.